Accelerator science has made possible the digital revolution, now scientists across Europe are collaborating to design the world’s first high-energy plasma-based accelerator facility, which will be stronger and more compact than the current accelerators used by industry today. The future of accelerators, advanced laser technology, and the industry opportunities will be discussed at a one-day international Symposium in Liverpool, UK, on 6 July 2018. 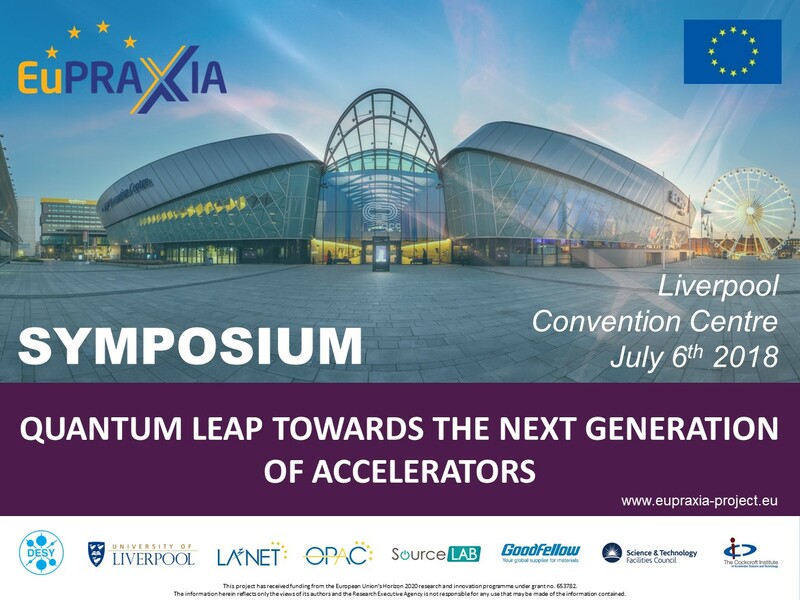 The ‘Quantum Leap Towards the Next Generation of Particle Accelerators’ Symposium, organised by The University of Liverpool, will include a discussion of developments in the EuPRAXIA plasma-based accelerator project. EuPRAXIA is designing an infrastructure that would reduce the size and cost of accelerators to make them more accessible to industry. These accelerators could be a thousand times more compact than the current approaches opening up the opportunity to use the beams for new types of application. The ‘Quantum Leap Towards the Next Generation of Particle Accelerators’ Symposium offers a unique opportunity to meet leading scientists and to gain insights into the potential benefits of novel accelerators for the medical, transport, energy and science sectors. The afternoon is aimed at industrial and science opportunities while the morning session is exclusively for local high schools. Already over 150 students are registered to attend; taking advantage of the opportunity to interact with ground-breaking science on their doorstep. The talks however will be streamed live on http://www.eupraxia-project.eu/live-streams.html. A range of interactive demonstrations will also be available, helping to explain accelerator science through marshmallow waves, Gauss rifles and the Surfatron – a game designed to demonstrate the concept of plasma wakefield acceleration. Admission to the Symposium is free of charge, but registration is essential. Places will be allocated on a first-come first-served basis.